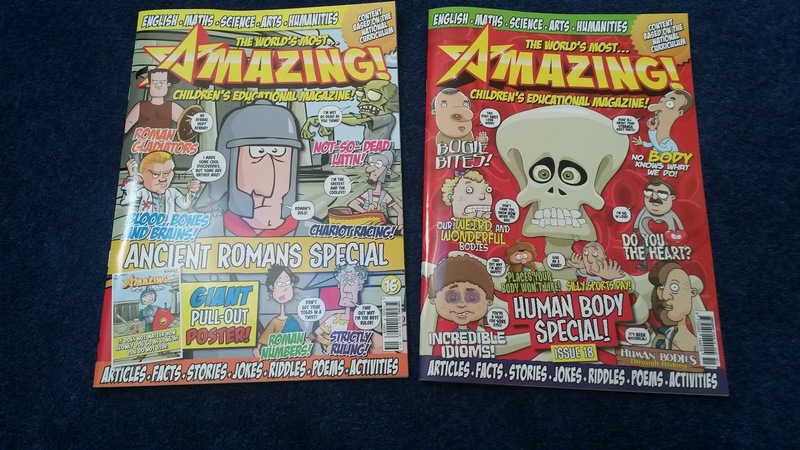 Luke loves reading about facts so he was thrilled when we received two copies of Amazing! magazine to review. Amazing! 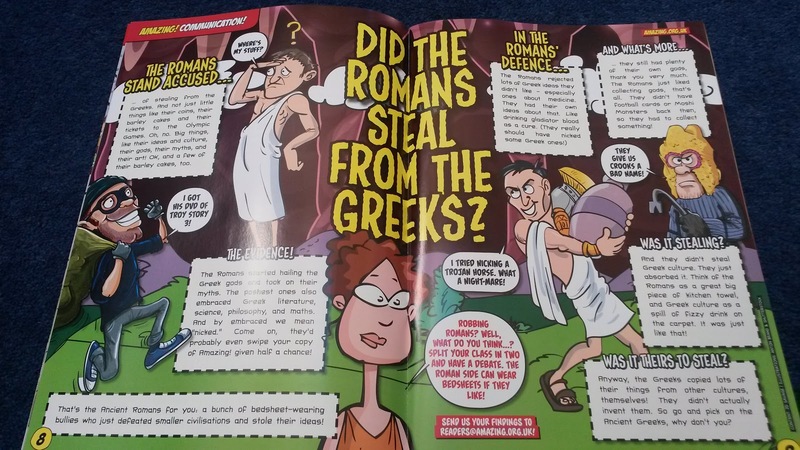 magazine is a fun and educational magazine based on the primary national curriculum. 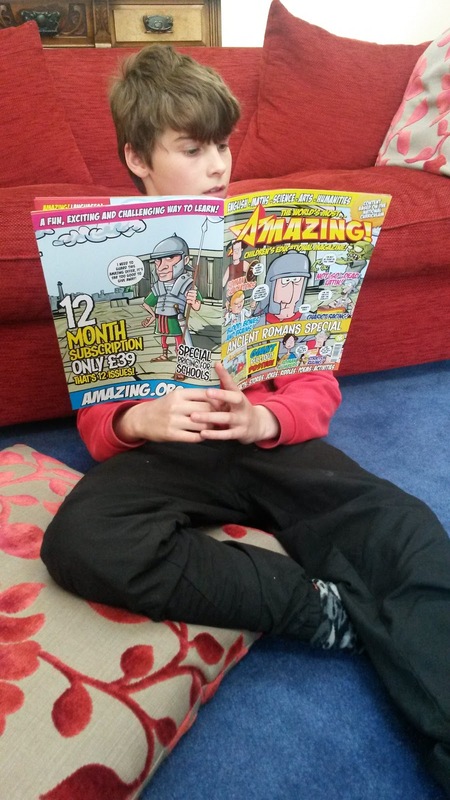 Designed for boys and girls aged 7+ it covers a variety of subjects including Maths, English, Science, History, Geography, Arts and many more. 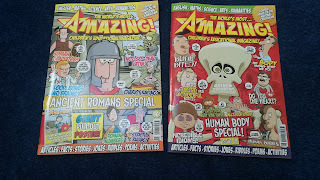 Each magazine has a theme, we received the human body special and the ancient Romans special and they were both great magazines. Luke reads alone now so I don't usually read them but I had a good look at these magazines and found them really interesting and Iearnt a few things too! The magazine is 36 pages and filled with articles that appeal to children. There are things to make, puzzles, jokes, amazing facts and even some great game ideas. I will be borrowing the games to play with the Cubs after the Easter break, they will love "Shoe In" a game where they all take off their shoes, jumble them up and then try and find them again and put them back on with the added complication of not being able to touch the shoes with their hands! It will be interesting seeing how quickly 24 Cubs can get own shoes back and the ways they do it! The pages are colourful and full of interesting facts that Luke loved. He said he especially liked the cartoon style of the magazine and the mix of articles. An annual subscription is just £49 for 12 issues and if you want to subscribe you can receive a discount of 10% by using the discount code WOW10 at checkout. Disclosure – we received two copies of the magazine in exchange for a review. All words, opinions and photos are my own.